Dr. Noureddine is a molecular geneticist with extensive background in scientific research and training in human genetics, expertise in DNA forensics, as well as healthcare industry consulting. Dr. Noureddine earned his B.S. in Biology from Radford University in Virginia, an M.S. in Molecular Biology from the University of North Carolina at Greensboro, and a Ph.D. in Molecular Genetics from the University of North Carolina at Chapel Hill. He then completed a postdoctoral fellowship at Duke University Medical Center (The Center for Human Genetics), where he published many articles on the genetics of Parkinson Disease and other human genetic disorders. His expertise includes specialized training in complex genomics, DNA fingerprinting, mitochondrial genome analysis, Single Nucleotide Polymorphism studies, and state of the art methodologies in gene structure and function studies. Between 2005 and 2007, Dr. Noureddine was a Research Fellow at the National Institute of Environmental Health Sciences/NIH, where he studied the tumor suppressor gene p53 and genomic variations that confer cancer susceptibility in humans. While at NIEHS, he developed a novel fluorescent microsphere based assay for investigating p53 interactions with elements in the genome. Between 2007 and December of 2010, Dr. Noureddine served as the Chief Scientific Officer for a North Carolina-based healthcare services company, Thought Leader Select, LLC. Thought Leader Select (TLS) specializes in identifying and objectively profiling thousands of global, national and regional healthcare and scientific experts (known as Thought Leaders) from a wide range of therapeutic areas, backgrounds and sets of skills (MDs, PAs, NPs, PhDs, PharmDs, RNs, Veterinarians, Health Economists, etc). Dr. Noureddine led many Thought Leader identification and scientific validation projects for various clients in numerous therapeutic areas such as Diabetes, Atrial Fibrillation, Lung Disease, Kidney Disease, Neurodegenerative Disease, Inflammatory Disorders, Hemophilia, and many others. His role included full oversight of the company’s IT platform and the strategic development and integration of IT and research capabilities. Dr. Noureddine ensured strict compliance with data privacy laws in the US and globally, and educated clients and Thought Leaders on such laws. He stepped down from TLS to focus on his interests in forensics and education. 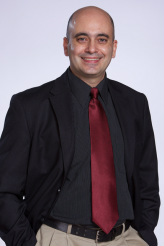 Currently, as a recognized forensic DNA expert and President of the forensics consulting company ForensiGen, LLC, Dr. Noureddine provides services and expert counsel to law professionals on DNA and biological evidence in criminal and civil litigations, as well as consulting services to the public in the area of genetic testing (maternity/paternity, sibship, genetic disease). He spearheads the IACD's efforts of developing highly customized training courses and workshops in the area of DNA forensics and biologic evidence for law professionals, health professionals and the public. His other experiences include years of public service as a volunteer with the Civil Air Patrol (United States Air Force Auxiliary), a benevolent organization that is dedicated to aerospace education, cadet programs, and emergency services. He is an experienced search and rescue pilot, and currently serves as the Commanding Officer of seven Civil Air Patrol units in the central region of North Carolina.